Sure enough, Ford in Denmark even uses this colour in its on-line publicity material. When I saw this one parked up somewhere in Jutland I had to take a closer look. You have to admit, it’s a satisfyingly spacey-looking machine. The bright orange paint brings out the graphic quality of the other elements. Essentially this is a commercial vehicle that has no trouble looking as good as a passenger car. Like the original Ford Ka, the bumpers in black plastic look graphically correct. I’d be prepared to bet a significant amount of money (name your currency) that designers imagined the Custom with self-coloured black plastic from the start. The rear lamps and bumpers run together in a very satisfying way. I always thought the lamps and grille of the 2000 Transit to be very car-like and having driven one a few times, they are huge fun too. More than half of the cars I’ve driven in the last many years would have been much better if they had felt as pleasing as the Transit to move around in. I haven’t had the pleasure of trying the Custom but I wouldn’t be surprised to find it laid-back, comfortable and imbued with deep-down practicality. Most of these vehicles elude our attention because they are painted a cheap and handy white. That might be good for painting on decals but it means these vehicles vanish into the background. I wonder if there might be something in selling them in other colours as standard so that, like cars, they are endowed with a finish that does some justice to the quality of the design. If people really wanted white, they could get it as a no-cost option. And something similar applies to the interiors. Many of these cars do work that is no filthier than any passenger car is asked to carry out, so why not provide them with some colourways apart from charcoal grey, anthracite and black. Which is a very regal interior indeed. But rather bafflingly, the Ford passenger van is not near enough to the top of the sales charts, as of 2017. That accolade goes to VW with their Transporter, which car I have never seen in a cheerful colour. Is it something to do with number of engines? Ford only offers one, a 2.2 litre diesel. Hmmm. Good morning, Richard. 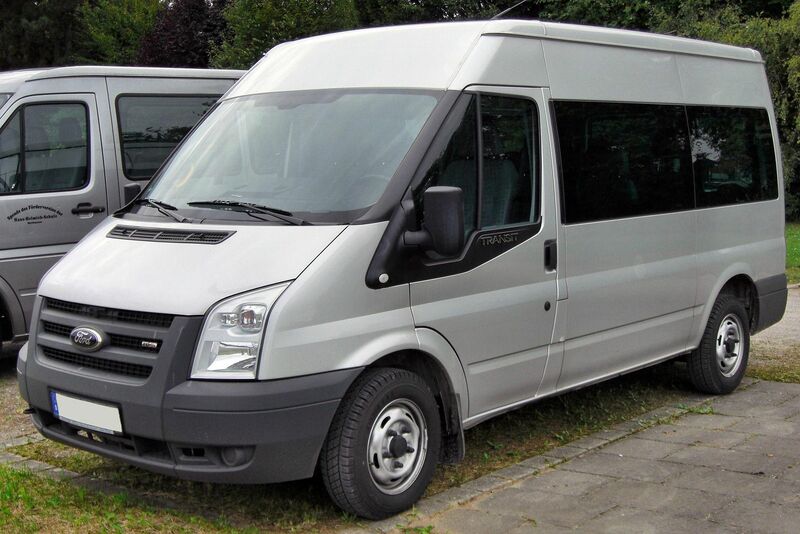 I agree that the 2000 Transit is a very nice design, and quite sophisticated for a commercial vehicle. I really like the way the chamfered surface on the upper edge of the grille opening flows through the headlamps and down the sides of the vehicle. This strong horizontal element visually lengthens and lowers the vehicle. Here we find a much more traditional commercial vehicle aesthetic, with a large upright grille and lots of grey plastic. They’ve even added a black plastic grille to the bonnet, which was not necessary on the original. Did they feel the need to “butch it up” to satisfy commercial customers’ expectations? 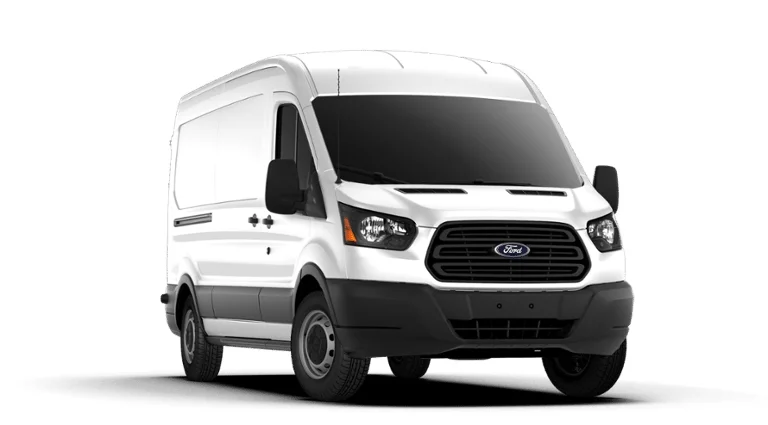 I liked that restyling of the Transit, it put it in line with the Fusion, C-Max, etc… and the graphics were suited to this type of vehicule I thought, there was something ‘technological’ about these shapes and how they connected. He calls the woman hitchhiker a “piece of skirt”! I’v always preferred the Trafic to the Transit, but that might be because of where I grew up and the fact that ‘Transit van-man’ is ‘Trafic van-man’ over here. I especially liked the 2001 version of the Trafic, with its weird hump above the front doors and the window line shooting straight into the front wing and front bumper. Altogether a more daring deign than the 2000 Transit I think. Talking about commercial vehicles, the other day I was looking at pictures of the facelifted Iveco Daily and it got me thinking that we never hear about the Iveco Daily, even though it’s a mainstream sight across European roads. They seem to be held in high esteem and I think they’re selling very well…..yet we don’t know much about their lives. The Transit is more fun to drive than many ‘normal’ passenger cars. Wasn’t Richard Parry-Jones responsible for that? Yes, VW vans come in many nice colours and even combinations of them, as Christopher shows. Red/white is quite common, for example. 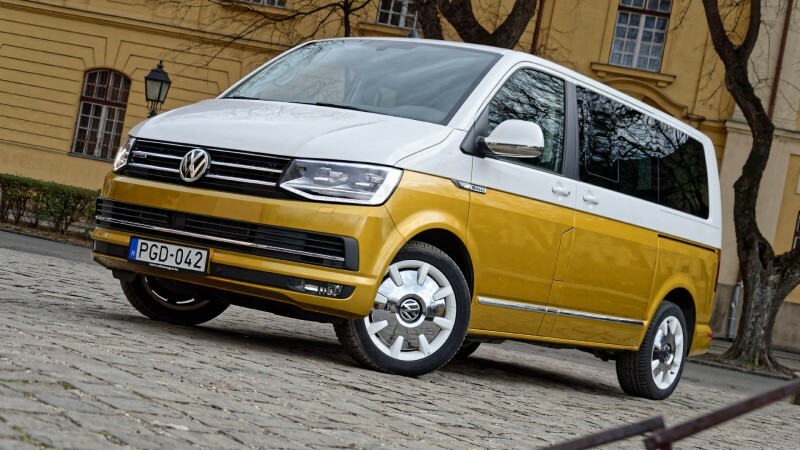 However, a Multivan in such specs is a pricey affair – you’d probably get a decent E-class for its price. Therefore I can imagine that they sell better in Switzerland than in Denmark. Regarding vans in nice colours, I cycle past a brown metallic Renault Trafic quite often on my way to work. I might provide a picture of it this week.